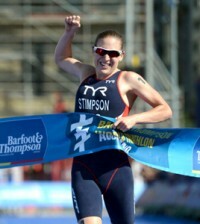 Home > News > Triathlon: Can a fellow Brit claim Chrissie’s crown in Hawaii? 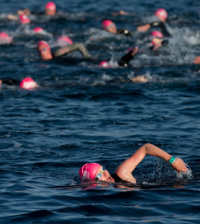 Triathlon: Can a fellow Brit claim Chrissie’s crown in Hawaii? With Ironman World Champion Chrissie Wellington absent from this year’s World Championship, she is willing a fellow Brit take the 2012 title. The 35-year-old, who has secured the World Champion title an impressive four times, is taking a year out from the sport and has said that another British triathlete winning this weekend would be the ‘dream scenario’. GB’s Leanda Cave and Rachel Joyce will both be in action in Hawaii and Wellington believes her hope is well within reach for the pair. “If I can’t win the race then I think that would be the dream scenario, that you have a fellow Brit win the race,” she told BBC Sport. 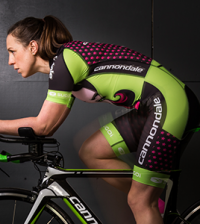 Cave has demonstrated top form of late, finishing third in 2011 and recently winning the Ironman 70.3 (half-Ironman) World Championship race in Las Vegas. If Cave is unable to pull a win out of the bag, then Wellington also has her eye on 34-year-old Joyce, who only turned professional four years ago and finished sixth on her debut at the Ironman World Championship in 2009. She has gone on to improve one place every year, claiming fourth in 2011, and Wellington says the podium should be well within reach for Joyce this time around. Although Switzerland’s Caroline Steffen is perhaps favourite to claim Chrissie’s crown, the women’s race, which sees participants take on a 2.4-mile swim, 112-mile bike and 26-mile run, is wide open, with Kona an unpredictable race for the course and conditions on offer.